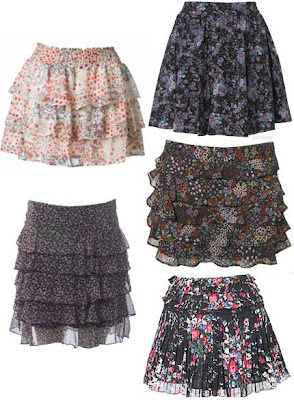 Is Luella Bartley floral mini skirt.I love it because it's pretty and childlish.I would wear it with a leather jacket,a blazer or a cardigan in combination with some colorful t-shirts,just like the pictures bellow;maybe add some high boots.What do you think?Do you like it? i need a floral mini for summer! !